So compounded, the Report follows in the wake of a resolution on hepatitis unanimously adopted by member states at the WHO General Assembly in May 2014. Among other things, the resolution urged member states …(12) to consider, as necessary, national legislative mechanisms for the use of the flexibilities contained in the Agreement on Trade-Related Aspects of Intellectual Property Rights in order to promote access to specific pharmaceutical products;…. The resolution also requested the Director General …(9) to support Member States with technical assistance in the use of trade-related aspects of intellectual property rights (TRIPS) flexibilities when needed, in accordance with the [WHO] global strategy and plan of action on public health, innovation and intellectual property;…. 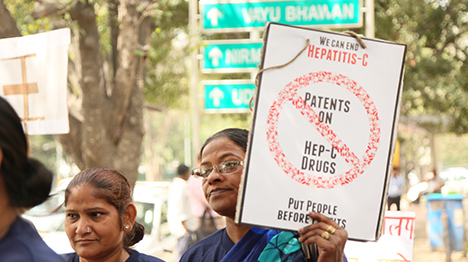 "WHO Makes Headway In Hepatitis C Treatment Access Campaign" by Intellectual Property Watch is licensed under a Creative Commons Attribution-NonCommercial-ShareAlike 4.0 International License.